Matis Fourways employs qualified skincare professionals to ensure quality in all treatments. Our aim is to create an inviting, personal environment where all staff show care, attention to detail, and are always welcoming, where your comfort & satisfaction remains at the top of our priorities. As a committed home to this luxurious brand, Matis Fourways offers top of the range beauty services, ensuring the most value for your money. 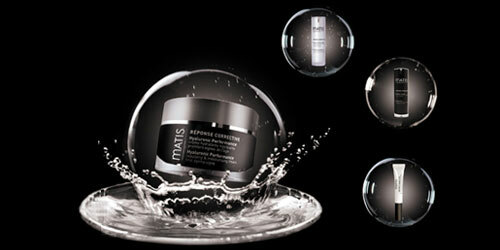 Matis was founded in 1936 in Paris by Doctor Mavromati, a chemist in cosmetology. Today, we are recognized worldwide as a beauty expert, with innovative, scientific, tailor made skincare products and services that people trust and love. Vouchers are valid for treatments at the price purchased. The recipient of the voucher will be liable to pay the difference in the event of a price increase. What date would you like to join us? What Treatment Would You Like?